The "spending frenzy" totaled nearly $50 billion in seven days. "Federal agencies spend-out their budgets," said Adam Andrzejewski, CEO and founder of OpenTheBooks.com. "If they don't spend it this year, they lose it for next year. It's a year-end spending spree whereby $1 of every $9 spent during the fiscal year is spent in the final week." "Last year, during the final week of the fiscal year, federal agencies literally ‘drove up taxpayer costs,'" he said. "They bought $170 million in ‘passenger motor vehicles.' And that's a lot more than the $1 million spent on motorcycles, scooters, and bikes. Health and Human Services bought a fleet of armored vehicles with Square One for $1.5 million." The spending occurred during the last seven days of the fiscal year ending on Sept. 30, 2017. The analysis was based on OpenTheBooks.com data compiled via Freedom of Information Act request. Other purchases included $110 million on advertising and public relations. The Department of Homeland Security spent $15 million on advertising, while the Department of Veterans Affairs spent $3.2 million on signs and advertising displays. 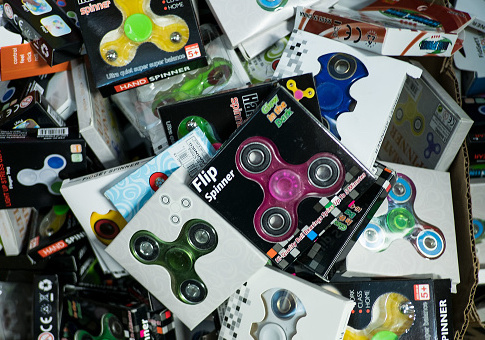 The Army spent $6,600 in taxpayer funding on fidget spinners and $35,000 on an arcade machine. The Pentagon bought $55,000 worth of snowboarding equipment and $7,000 on paddleboards. The VA spent $20,000 on shuffleboards. "With $21 trillion in federal debt, remember, it's not your money, but your children's money that our elected politicians are spending," said Dr. Tom Coburn, the former senator from Oklahoma and and honorary chairman of OpenTheBooks.com. OpenTheBooks.com noted spending in the bureaucracy was higher during the last fiscal year of 2017—President Donald Trump's first year in office—than it was in the final year of the Obama administration. The Executive Office of the President spent $45 million during the final week, as opposed to $36 million spent in 2016. The spending included newspaper subscriptions to the Wall Street Journal, Politico, and the New York Times, but not the Washington Post.